Sometimes opportunity comes and sometimes it is so great that it inspires you to reach past your fears and take a great risk. That kind of risk manifested itself in front of me a little over a month ago. 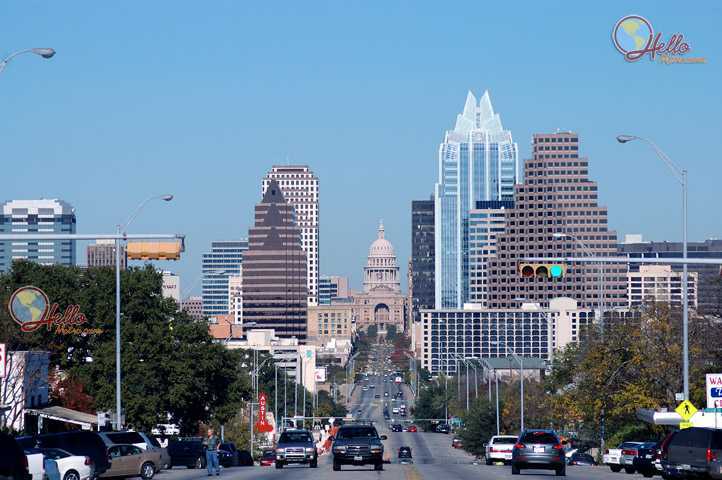 I found a job in Austin, Texas and moved from my home in the Kansas City metro area. It was scary at first, but ever since I started working on moving down here it’s been real smooth. I’m amazed at how everything has turned out. Just thought I’d drop a note and say I’ll be at SXSW again next month. Last year was a blast and a signed up again to ride the wild horse in Austin. Already there are tons of interactive talks I starred and locked in to my schedule and I’m sure there will be more to come. The music showcases already have plenty of new and old school bands ready to rock my world. All in all, I super excited to go and I hope to meet anybody else heading out there next month. As you may have realized from the sidebar on the right hand side, I’m SXSW bound! This will be my first time heading down to Austin, Texas and mingling with the technological, film, and musically inclined. SXSW is somewhat of a long time dream of mine and starting tomorrow it will be fully realized. Much of what I’m interested in both personally and professionally intersects with all of the different aspects of SXSW. For the Film portion, I’m into seeing the movies that pull me back to my high school days. During the late 90’s, I watched movies all of the time. I would head to the now defunct Video Library out in Lenexa and pick up a movie 6 pack for the weekend then veg out on the couch. After awhile, I got to the point where mainstream movies just weren’t enough. I wanted to see the influence of great directors and actors, I wanted to see off the beaten path movies, and I wanted to tap into an underground that couldn’t otherwise be known if it weren’t for the 5,000 plus title Video Library sported. It was an age of discovery for me. I hope to relive that with the Film portion. The Interactive portion is all about cutting edge technology and more importantly how it affects people. Most people come away from this event with more than just the latest, hip social media trend. Workshops are all over to walk through attendees on some of the best practices in development or the latest methods to integrate bleeding edge tech. New technology will be on display as each big player brings out the best they have to offer. This is the meeting of highly proficient minds and what spins out from that collaboration and networking can be something special. My passion for technology and how new ideas affect people and hopefully improve their lives came from my college days. I used to work in the only profitable division at Kansas State besides the athletic department: the distance education department. Because of the money we made, we got to preview and implement tech before it saw the light of mainstream. We’re talking smartboards and video captured lectures using carts, cameras, and computers. I always remember the impact it on the teachers utilizing that tech to help teach their content. Hopefully, I will see what new items (more than likely in the mobile realm) that will help people and their daily lives down in Austin. The Music portion speaks for itself. Whereas the Interactive portion’s sessions usually start around 9am, the Music portion’s sessions start at 1pm. The brunt of the showcases won’t end until the last encore song bleats out over the PA system at around 2am. It’s all about bands and musicians coming together and sharing their voice. On top that, they will share the methods and discuss topics on how to best use their voice. The collective voice for SXSW will hear over 1000 bands joining in the song. I’ve always been trying to find my voice. Whether it’s in technology, music, or just my day to day actions. I sport a decent amount of music equiptment that grows each day, but I’ve never found it sounding right to me. Morever, I’ve also found it hard to share my voice with other people. Courage will always be a hard thing for me. I’m thinking that a chorus of over 1000 other bands may just help me join in and sing my song. What better way to find my voice? Half the fun of finding my voice is the path I take to get it.. That path leads me to SXSW. Most of what I identify with will be represented in some form down in Austin. I’m lucky enough to go down there and take part. What do I hope to accomplish? I want to start a new age of discovery. I want get my hands on new technology to help others. I want to mix with peers and jam out with them, whether it’s tech, film, or tunes. Most of all, what I want to do on this trip is to bring back fresh inspiration and make some new friends. This is a great opportunity for me to mix with like minded people and I’ll be bubbling up the better things from the event right here. I’m going to do my best to document much of the road trip and the conference so be prepared for an onslaught of content. Please feel free to share with me what you think. If you are going down there, hit me up and let’s have some fun. SXSW is like Mecca to me, even though I’ve never been and I don’t pray toward Austin every day. Hello World, Where Have We Been? Hello World! Welcome to the relaunch of my personal site. I guess with every relaunch, one starts anew so let me go over what I’m bringing from the last site. My old about page talked about my history, my hopes, and my dreams but now almost 3 years later, I’ve felt that it hasn’t been truly realized. During my sojourns, I’ve come across many changes. Some of which have helped immensly and some of which set me back. So I decided to drop everything and start fresh. The focus of the old site was to be a project hub geared toward my interests in sound, programming, and artificial intelligence. There really wasn’t anything else I had in mind for the site. I rolled my own simple blog app but failed to add content on a consistent basis. Many of the projects ended up just being ideas. The logos were hand drawn and the site design was all my own. I really built it from the the ground up. For some reason, I just stopped working on it and became satisfied with the idea of thinking about working the site. Bouncing around those 3 topics produced maybe a sprinkle of actual work. I whipped up some Java classes to play some Pink Floyd MIDI songs, I dabbled in some Flash, and really didn’t research anything in the AI field. All I really had was project ideas. Some time ago, I realized this and implemented the Gettting Things Done (GTD) method of task management. The book is great and I recommend it to anyone who is overwhelmed. But as I have learned again, the most important part is to actually get things done. One can spend hours upon hours reading and implementing productivity and still not be productive. I sometimes fall in love with idea of having something, whether it be a great guitar lick, knowledge in a language, or even a certain body type I wish to fit. A samll part of that is who I surround myself with, but for the most part it’s habits and behaviors I’ve had with me growing up. Scan through the years and all you see is fragment ideas that fail to reach a whole. The GTD method and many of the productivity blogs around the web warn against that dangerous habit. It just is sometimes hard to admit when you fall into it yourself. Then, about 2 years ago, something changed. A series of events took place to lead me to change how I view my life. Most of my childhood and adult life, I have always been overweight. Like orca-fat. Well, that one thing happened. I believe, especially today, that there is that one thing that leads a person to make a major change. What’s mine? I’m not gonna tell. But what I will tell is that it started a two year process of losing about 70 pounds of weight. I had one big goal and accomplished that by making small goals. Set backs happened, lull times came and went, but I was persistent. It was tough, but I lost the weight. And I learned so much from it. This is how I’m appraoching this blog. What better way to approach a relaunch then to start with the simplest of programs? Hello World! The phrase first showed up back in 1972, but with each new langauge, with each new system, with each new software it is the first phrase one would see or use. Hello World is an announcement to the world that whatever domain has arrived. Before, I hand coded my own site. Now, I rolled the latest WordPress to focus on the real projects at hand. Guess what the first default post for a WordPress install is? With that, I am now saying: HELLO WORLD! It’s a new beginning here at hoketronics.net and it will seed in its simplest form with this post. As time passes, I will germinate this project in the hopes of growing it into a solid, mature plant in the grand garden of knowledge. Before, I locked my interests down to certain topics and neglected its growth. Now everything is in the open. The template for the WordPress theme is from thematic. It’s simple and straightforward. Much with the growth of the site, the growth of the template will be its reflection. But that’s only the beginning. The direction of the site will lead me wherever my mind takes me. I have a great passion for technology, music, and anything creative. This site will exhibit that and for the first time, nothing will be held back. I still am interested in many of the topics from my old about page, but now I’m no longer afraid to expose any lack of knowledge in those areas. After all, I’m starting all over. I’ve hit my one thing. HELLO WORLD!